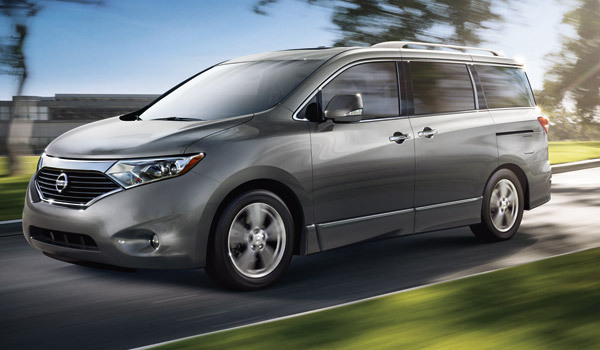 When the Nissan Quest was first introduced in 1992, it was in a joint venture with Ford, who rebadged it as the Mercury Villager. Now, the Quest has set out on its own, helping the Japanese carmaker make a name for itself in the minivan segment. Debut and First Generation: The Quest was first introduced at the North American International Auto Show in Detroit on January 6, 1992, and entered production at the Avon, Ohio, plant on November 14, 1992. In the North America, it took the place of the Axxess, which was only sold in 1990 in the American market and from 1990-1995 in the Canadian market. Due to its shared platform with Ford, the Quest had many similar attributes as the Ford Aerostar, especially after Nissan completed a requested redesign before Ford sold the minivan as the Mercury Villager. Second Generation: The next incarnation of the Quest was sold from 1999 to 2002. This version had an increased aerodynamic look, an additional sliding door on the driver’s side, and additional luxuries on SE and LGE models, including a six-disc CD changer and optional wood trim. Third Generation: The 2004 model year debuted the now-famous ‘waffle grille’ at the front of the Quest. This unique black square pattern headed up a new exterior that used the Nissan Altima and Maxima platforms. The inside of third generation Quest imitated an airline cabin, with a long console stretching from the front all the way to the backseat area. The seats in the back were raised stadium-style to provide a sense openness and visibility for those in the back of the van. Fourth Generation: When the Quest was first introduced, it had two trim levels—XE and GXE—along with a 3.0-liter engine capable of producing only 151 horsepower. Now in its fourth generation, the Quest is offered in four trim levels—S, SV, SL, and LE—along with a significantly more powerful 3.5-liter V6 engine that churns out 260 horsepower.